Fuel gauge troubleshooting begins with isolating the problem either to the gauge, sending unit, fuse or wiring. The most common gauge problems are either a bad ground at the tank, or a sender problem. As with any electrical troubleshooting, it is best to check the fuse and all wiring connections are clean, tight and free of corrosion. The following process will require the ignition switch be in the “on” position for troubleshooting a fuel gauge issue. The first place to start is to check the ignition 12 volt power feed at the fuel gauge to see that it is powered up. If you DO NOT have 12 volts ignition on the fuel gauge, check the gauge fuse to see if it is good, and make sure the ignition switch is powering the ignition pink wire on the ignition blade of the switch. 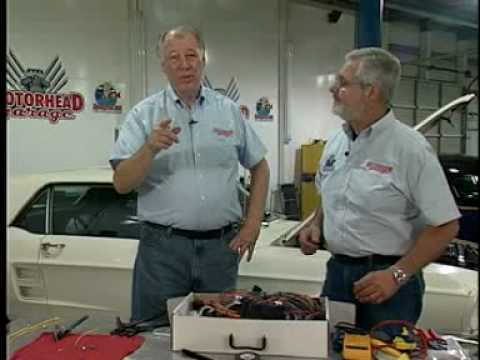 If you DO have 12 volts to the fuel gauge, the next step is to remove the fuel sending unit wire, and, with the ignition key “on”, ground the sender wire to a good chassis ground. The fuel gauge should immediately go to empty. Removing the sending unit wire from the chassis ground the fuel gauge should go directly to “full”. If the fuel gauge responds correctly, the fuel gauge and sending unit wire at this point are reacting correctly. Next, check the fuel tank float assembly to see if the grounding terminal on the float assembly has a good grounding point to the chassis. If the ground wire looks good, the problem most likely resides in the fuel tank float assembly, and may need to be replaced.